Like Birdman before it, there are scenes in this movie so visually audacious, I gasped. But where that picture hit you like a ton of bricks based on the cumulative effect of its dizzying pace and construction in the close confines of a Broadway theater, Alejandro Inarritu’s The Revenant – which is essentially a lone survivor/revenge flick, with a little spiritual mumbo jumbo thrown in for good measure – presents dazzling set pieces interspersed with awesome portraits of the vastness of nature. 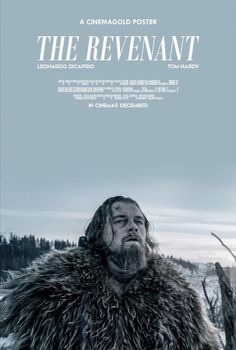 The year is 1823, and Leonardo DiCaprio is a guide for a fur trapping expedition in South Dakota beset by a brutal Indian attack, and in escorting the survivors back to the safety of their fort, he is viciously mauled by a bear, a scene so expertly rendered I could not believe it had not happened, yet, of course it had not. DiCaprio seems a committed actor, but no one is that zealous. After the attack, DiCaprio has many more hurdles before him, including a suspicious and dangerous member of the surviving group (Tom Hardy, channeling Tom Berenger in Platoon, a compliment) and pretty much every calamity the brutal world of the wilderness can provide. DiCaprio has little to say, but he brings all the physicality he mustered in The Wolf of Wall Street, only this time, during his infirmity, he exudes animalistic fury instead of stoned near-paralysis. Wow indeed. It all pays off in making the picture visceral, authentic and epic. My only nits are a bit of anachronistic, stale “you have stolen everything from us” dialogue from the primary Indian and one depiction too many of DiCaprio hallucinating his Pawnee wife welcoming him to death ala’ Russell Crowe in Gladiator. But these are very minor criticisms. This is a great film and certainly one of the best of the year.